Dt. Neha Suryawanshi is one of the best Dietitian/Nutritionists in Sion East, Mumbai. She has over 12 years of experience as a Dietitian/Nutritionist. She studied and completed M.Sc. in Dietetics and Food Service Management , Post Graduate Diploma In Computer Application, P.G.Diploma in Clinical Nutrition & Dietetics , B.Sc.Clinical Nutrition & Dietetics. You can consult Dt. Neha Suryawanshi at Neha's Diet Clinic in Sion East, Mumbai. Book an appointment online with Dt. Neha Suryawanshi and consult privately on Lybrate.com. Lybrate.com has a nexus of the most experienced Dietitian/Nutritionists in India. You will find Dietitian/Nutritionists with more than 38 years of experience on Lybrate.com. Find the best Dietitian/Nutritionists online in Mumbai. View the profile of medical specialists and their reviews from other patients to make an informed decision. She is one of the most unprofessional doctors i would have come across in my life. She showed immense enthusiasm and zeal only until she took the entire payment in advance from me. That was the perhaps the last time she took initiative by her self. Its been over a month now and has not consulted me in person even once and always has some reason to justify her lackadaisical approach. She is extremely unprofessional. I would appreciate if a platform such as lybrate to do some due diligence on individuals before onboarding them. Every thing that she has ever advised me can be easily sourced from any internet site verbatim. I am extremely unhappy with her consultation and would advise everyone reading this to also not approach her. I deserve a full refund and would appreciate if lybrate helped me get it. I am so happy with the results of my treatment, that I will surely recommend Neha Suryawanshi to anyone gladly. On the very first day she identified my problem. The staff was very attentive to my needs. Even though it's been more than a year, still if I sometimes any problem and call her, and Neha Suryawanshi still takes my call in case of any emergency. The overall outlook of the Neha's Diet Clinic was very nice. She is very professional and is a really patient listener. she helped me in gaining weight. Initially the symptoms of diabetes were not that severe but then it became worse.i consulted herto have a diet that handles my diabetes well. She is very courteous and behaves very aptly with elder patients. One of my cousin's referred to Neha Suryawanshi. Both Neha Suryawanshi and staff were very helpful. During the complete diabetes treatment program she always supported and motivated me. Neha Suryawanshi is well aware about innovative techniques to treat problems. Due to my diet schedule i was feeling very depressed and had no hope. She is very talented and seasoned doctor. I have consulted so many doctors , but no one was able to solve my problem. I must say the hygiene was maintained very nicely in the Neha's Diet Clinic. During the treatment, my Neha Suryawanshi supported me a lot. The waiting area in the Neha's Diet Clinic is very comfortable for elderly patients. Neha Suryawanshi gave me great diet charts. I was shocked to experience problem to increase muscle. I read about the Neha Suryawanshi on one of the social media platform. The Neha's Diet Clinic have proper facilities for disabled patients as well.Even in case of long queues, the staff was managing people in a very positive manner. Not only she is very calm and composed, but is also a very understanding doctor. Whatever diet she prescribed, were very correct and the gave me great results. I was suffering from fever very frequently which was affecting my day to day life. Also it made me feel weak and I was not able to concentrate on my work. I thank Dr Neha for prescribing me right medication and also suggesting the perfect diet to stay healthy. She is quite knowledgeable and experienced Dietician. I would surely recommend to consult her once if anyone needs diet suggestion. No matter how critical be the situation, she is always very calm. 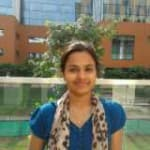 Neha Suryawanshi is well aware about innovative techniques to treat problems. Even though there was a long queue, still the staff was very pleasant. It was amazing, the Neha's Diet Clinicl was so nicely made. I am so happy that I chose this Neha Suryawanshi for my treatment of gain weight as now I am perfectly fine. Even though I was fit and fine, it was shocked when I got to know that I have problem to lose weight. She is not just friendly, but also is very motivating. The friendliness of staff is the best in the Neha's Diet Clinic. The Neha's Diet Clinic was equipped with various facilities. Dr Neha has so much knowledge that for everything my family takes her reference. she gave me a treatment for ketogenic diet. The facilities available in the Neha's Diet Clinic are very nice. She ensures that she listens to her patients. I have consulted so many doctors but nobody till now was able to understand my concern properly, until i consulted Neha Suryawanshi and she proved to be the best. I found the answers provided by the Dt. Neha Suryawanshi to be very helpful. It is very important to have a balanced diet. Though i am not always able to achieve it but the best diet is always welcome. Dt. Neha Suryawanshi provides answers that are sensible and caring. Thanks for your response. I know this activity. But the fat around the belly region does not reduce. kindly advise. Dt. Neha Suryawanshi provides answers that are knowledgeable, helped me improve my health and very helpful. Thank you Doctor..this is very helpful surely I'll consult you very soon.. I am suffering from a bit of obesity now-a-days. So I want your help to reduce the amount of fat from my body. You need to take high fiber low fat diet followed by detox diet. Ask me privately for customized diet plan for you. I am 22 still got heavy belly fat. I am allergic to citric fruits so can not have lemon or anything. I eat very less and also try my best to eat healthy but it is not working at all. Rest of my body parts are really very thin just the belly is large. Please suggest something. I am tried hard to get rid of it. I walk more than 5 km daily since 2 years still no change. You need to take high fiber low fat diet followed by detox diet. Drink lot of water everyday. Take small and frequent meals at regular intervals. Avoid outside food completely. Ask me privately for customized diet plan for belly fat reduction. Do crunches and pushups daily to reduce belly fat. My age is 28 and weight is 110 height 5.9 ft. Kindly recommend some good easy option to reduce my weight as my main concern is shortage of time.